The Senate Committee on Revenue, Financial Institutions and Rural Issues approved a bill Thursday that would increase funding for rural broadband and add healthcare criteria the Public Service Commission should consider when awarding money. Lawmakers are starting to take up proposals introduced as part of the special session Gov. Scott Walker called in January to fight the opioid epidemic. The Senate Committee on Judiciary and Public Safety held a public hearing Tuesday on bills that would expand limited legal immunity to overdose victims and increase the number of investigators focused on drug trafficking and addiction at the Department of Justice. The two bills are out of 11 proposed during the session. "Our goal is to save lives and to fight addiction and illegal drug use," Sen. Sheila Harsdorf, R-River Falls, told committee members. One proposal would extend limited immunity to overdose victims, building on a 2014 law that provided immunity to those who called for help. 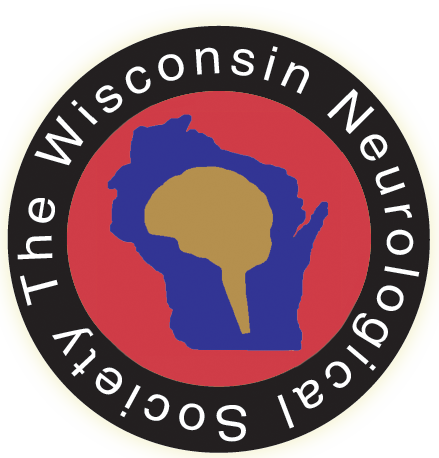 It has support from the Wisconsin Medical Society. Harsdorf said Wisconsin is the only state with a 911 Good Samaritan law that does not extend limited immunity to both the caller and the person experiencing the overdose. "This is a very important change for us to make to save lives," she said. The committee is set to vote on the proposal Thursday. The other bill would provide $420,000 annually to hire four investigators in the Department of Justice. Access to illegal drugs such as heroin and meth is "far too easy in many of our communities," Harsdorf said. "We continue to make great strides in the fight against illegal drug and addiction by increasing access to treatment and encouraging prevention programs," she said. "These additional positions will help in the fight by striking at those who are bringing the illegal drugs into the state." Jason Smith, acting administrator of the Division of Criminal Investigation at the Wisconsin Department of Justice, said the bill would increase the number of staff in their division by four. They have 103 investigators, with about a fifth dedicated to drug enforcement. "While heroin use remains a focus for Wisconsin law enforcement and treatment services, meth has quietly surged to a point where the number of cases, arrests and charges are on par with heroin," he told lawmakers. Democratic lawmakers are circulating a proposal that would allow non-psychoactive cannabidiol oil to be manufactured in the state of Wisconsin, arguing a bill approved by the Senate last week doesn't go far enough. The bill, authored by Sen. Chris Larson, D-Milwaukee, and Rep. Jimmy Anderson, D-Fitchburg, would establish a licensure program for individuals to produce and distribute CBD oil. Assembly lawmakers held a hearing on the Senate-approved version Wednesday. That bill allows patients to possess CBD oil without facing a state penalty if they have certification from their doctor, but doesn't allow for its sale or manufacture in Wisconsin. Democratic lawmakers on the Assembly Committee on Children and Families questioned how people could acquire CBD oil. "Without having dispensaries in Wisconsin, I'm worried this is not the complete fix," said Rep. Jill Billings, D-La Crosse. But the bill's authors said patients could purchase CBD oil online and in some neighboring states. Sen. Van Wanggaard, R-Racine, said they considered including dispensaries. But he wanted to avoid regulation. "If we took it to the regulators, we would never get this passed, not with the mindset of everybody at this point," he said. "I think the first thing we need to do is take away that fear from parents." The Senate has approved a proposal that would lift state penalties for possession of a drug derived from marijuana used to treat seizures in children. The bill passed 31-1, with Sen. Duey Stroebel, R-Saukville, casting the no vote. An Assembly Committee is set to take up the proposal next week. The bill, which is similar to a proposal that was blocked from passage in the Senate last year, would allow patients to possess CBD oil without facing a state penalty if they have certification from their doctor. The federal government has designated the drug Schedule I, still making it illegal. "Parents shouldn't have to risk jail time to treat their children," the bill's author, Sen. Van Wanggaard, R-Racine, said in a statement. "It is a sense of relief that we can ease the suffering and fear that too many parents experience trying to improve the lives of their children." As you know, physicians are often assigned a role with a hospital or health system’s quality department or committee or asked to lead a quality improvement project. The Wisconsin Hospital Association (WHA) has developed an important resource for physicians and advance practice providers who have an assigned role related to quality measurement and improvement within a WHA member hospital or health system. The WHA Physician Quality Academy will provide physicians the opportunity to increase their knowledge of quality improvement tools and principles; therefore, increasing the likelihood that a physician will be more successful in and comfortable with this leadership role. The Academy offers two non-consecutive days of in-person training and access to supporting resources both between and after the live sessions. September 29 and November 3, 2017 at the Glacier Canyon Lodge at The Wilderness Resort, Wisconsin Dells. discuss quality requirements, medical staff functions and their link to quality improvement. The Academy is offered twice in 2017 (dates below), allowing physicians associated with a WHA member hospital/health system to choose the cohort that works best for his/her schedule. Attendance will be limited to the first 100 registrants per cohort, so if interested, register today at http://www.cvent.com/d/wvq5nm. AAN members can now join the new Neurohealth & Integrative Neurology Section and Synapse online community. The new section will be a forum to connect neurologists and practitioners who recognize the need to investigate therapies which may have potential to preserve neurologic health, promote neurologic recovery, and increase patient wellness, including non‐pharmaceutical and complementary treatments. Membership renewal rates were strong for 2016. The goals for the number of dues-paying US neurologists and retention rate of dues-paying US neurologists were met, along with goals for retention of Early Career members and the number of medical students. The goal was also met for the number of members applying for Fellow status with the AAN during 2016, with a total of 217 applications submitted. The 2016 Practice Management Webinar series ended strong with a total of 637 unique registrations, which is 113 higher than 2015. The series concluded with a free webinar on MACRA and the 2017 Medicare physician fee schedule; view a Q&A document on these topics. On January 18, the 2017 series of webinars began, including recurring and new topics such as advance care planning, contracting, and coding for risk. Click here for the full list. For more information on AAN practice resources, visit our webpage.